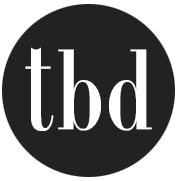 Want to make a quick upgrade to your home, but don’t want to spend a lot of time or money doing it? 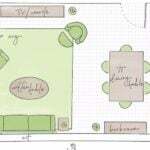 Then you’re in the right place, because we found a bunch of cool one day remodeling ideas to make your space great! 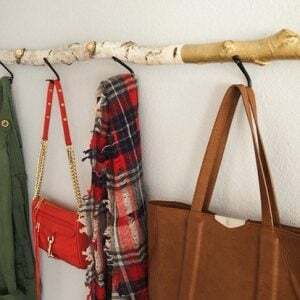 There are a ton of DIY home projects that can be done quickly, and on a tight budget. So pull out the work gloves and get ready to make a big difference, in just a little time! Our feature project is from ‘The House of Smith’s’. Their blog is always full of great budget projects, but I love this kitchen nook reveal… In it, they teach us how to bulk up plain baseboards to look like custom moldings… Great post full of tips and ideas! Brandi from ‘Nest of Bliss’ via ‘Sand and Sisal’ has a perfect one day remodel project for us… She did a budget cabinet makeover with bead board wallpaper! 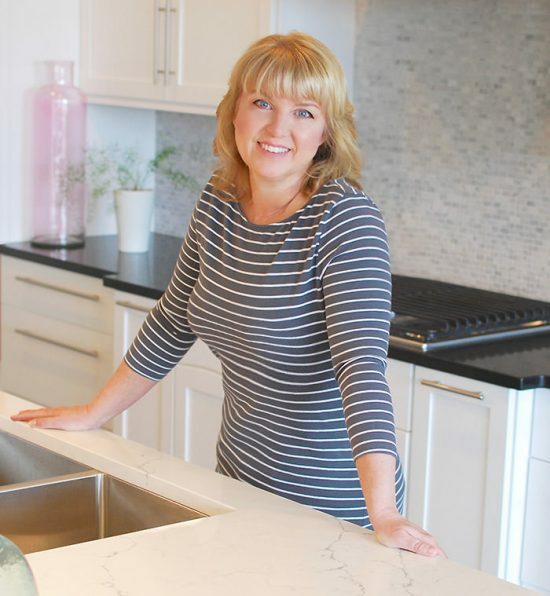 Not only does she show you how she does it, you have to see the before and after pics of her kitchen! Amazing! 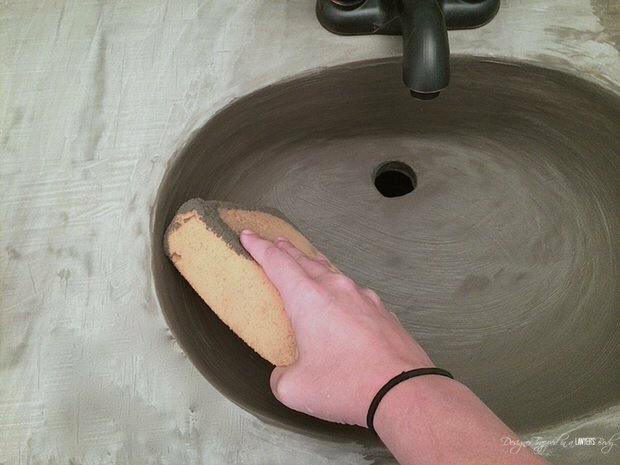 While we are redoing the bathroom, find out how to paint a sink, from Charlotte at ‘City Suburb Sanity’! 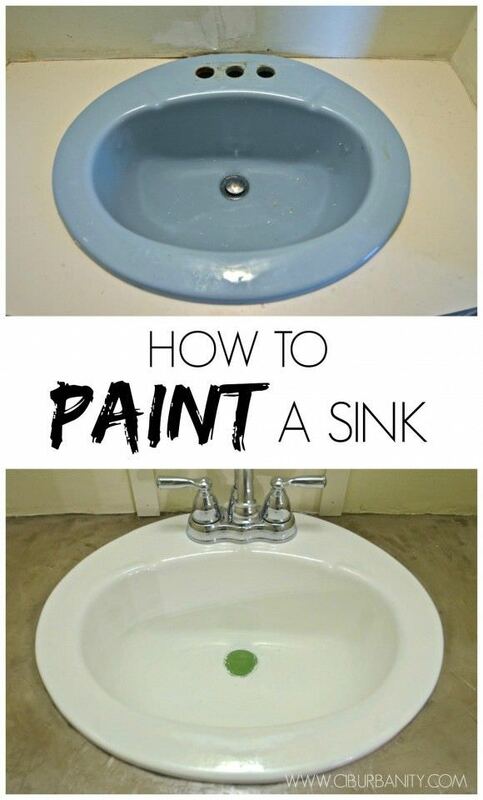 Great way to transform those ugly colored sinks of the ’60’s, or just freshen a white sink that has seen better days! 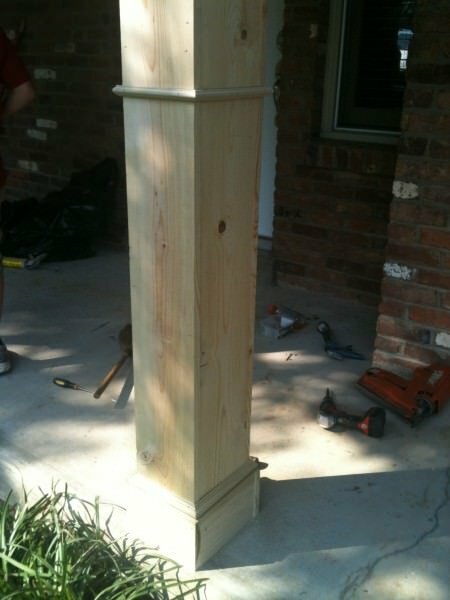 Up your curb appeal with this one day remodel project from ‘Beneath My Heart’… DIY front porch columns! Supply list and full tutorial. 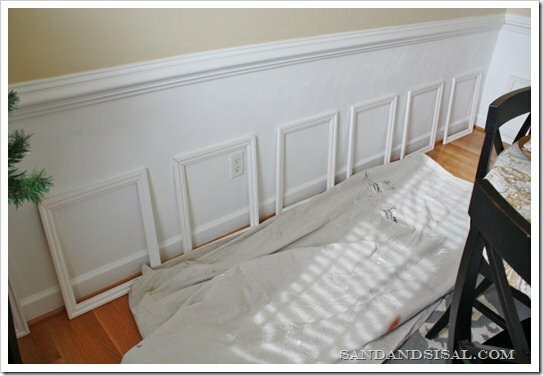 Kim from ‘Sand and Sisal’ shows us how to install wainscoting with this easy to follow tutorial. 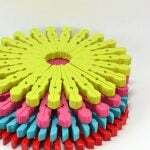 This adds that custom molding look to a home, great project! 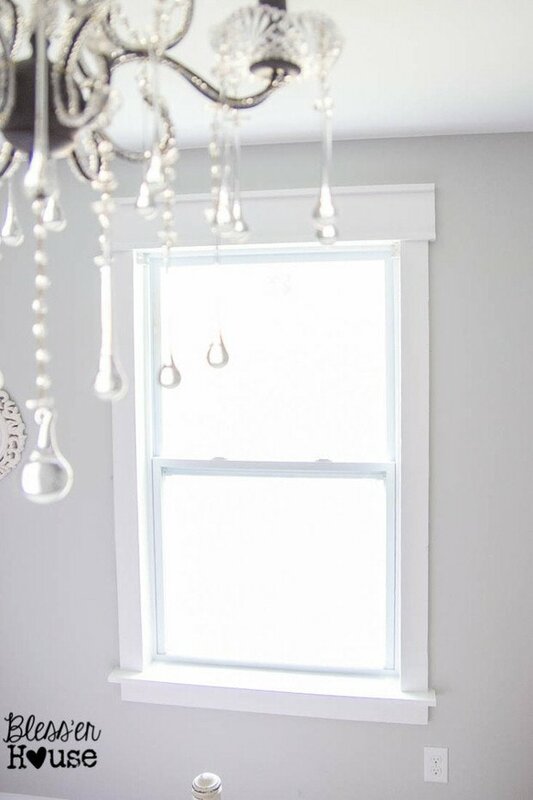 While we are working on adding custom molding to a room, Lauren from ‘Bless’er House’ brings us this tutorial on DIY window trim, the easy way! Wow, what a difference this makes! 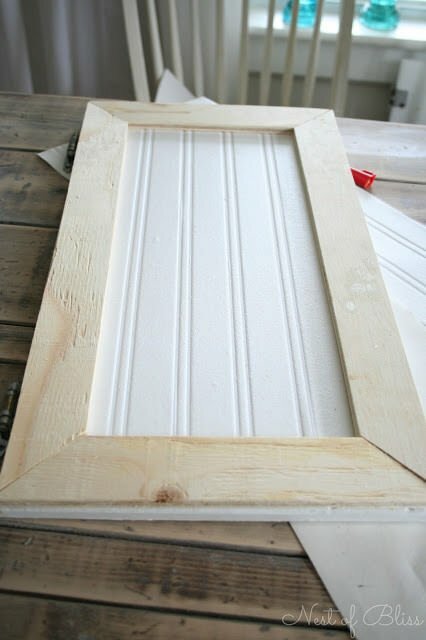 Ok, obviously adding trim and molding is a good idea, ’cause we keep finding these great how-to’s! 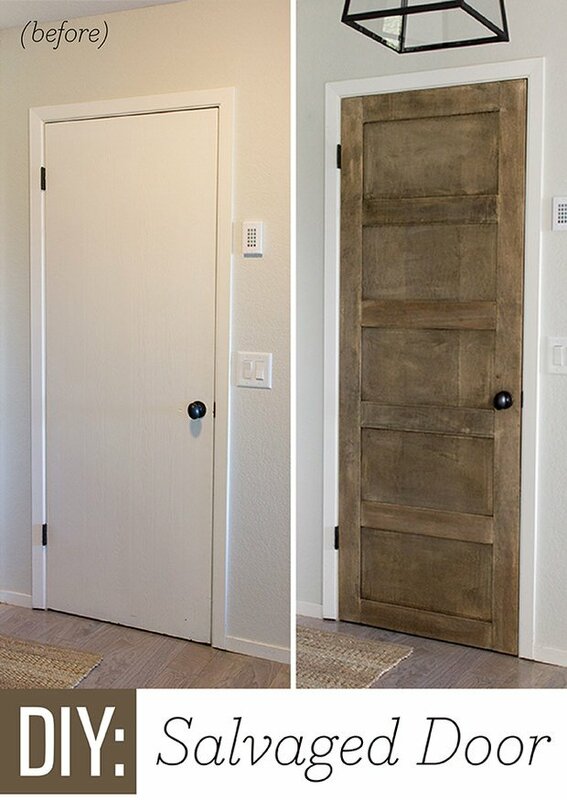 Now that you have the walls and windows done, try this project to turn these plain doors into paneled ones, from ‘Jenna Sue Design’. ‘The Sits Girls’ have a DIY Bathroom Mirror redo that they did for just $18 with tile and silicone adhesive. Easy! What about white marble tiles? 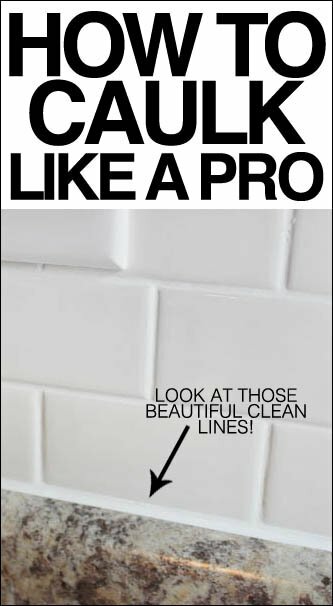 Speaking of tile, if you have tile surfaces anywhere in your home, one quick trick will make them feel new again… Caulk! Not only does it protect from water damage, it makes the tile look clean and neat. Learn how to caulk like a pro from ‘How to Nest for Less’! 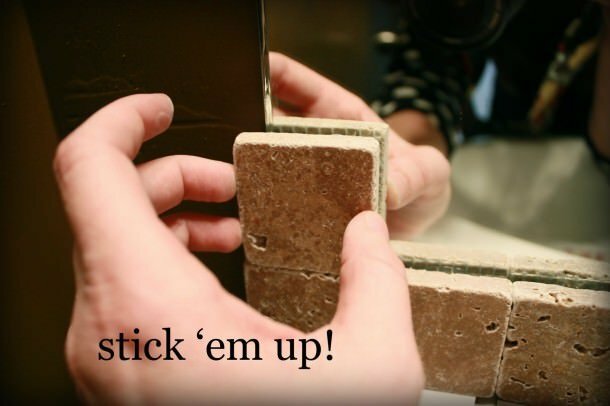 If you have a fireplace, you need this tutorial. 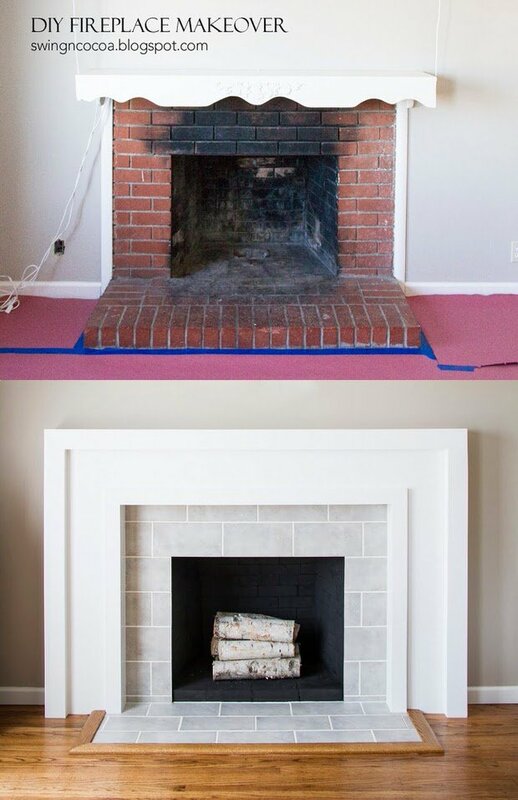 Stephanie from ‘Swing N Cocoa’ has a DIY fireplace makeover before and after that not only looks amazing, it raised the value of her home as well! I HATE popcorn ceilings. Maybe it’s ’cause we had one in the house I grew up in, or maybe it’s because to me, as a designer, I can see no good reason how anyone ever thought that it was a good idea. Really? In what universe did that seem ok? Right there with men unbuttoning their shirts to their navels in the ’70’s… something we wish had never happened! 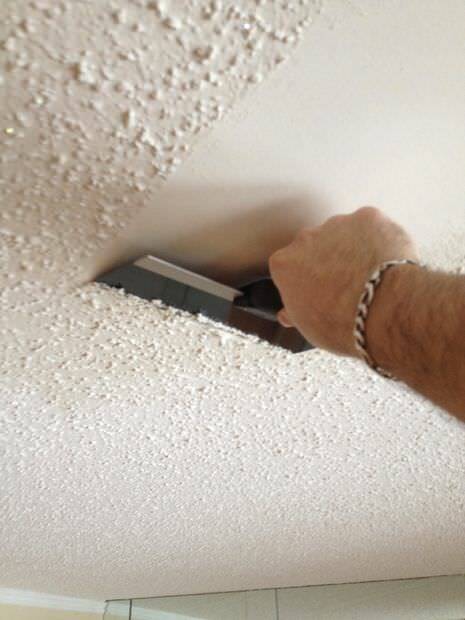 No fear, ‘Instructables’ tells us how to remove popcorn ceilings! Take note of the safety precautions, this is nothing to fool around with as it can have asbestos. 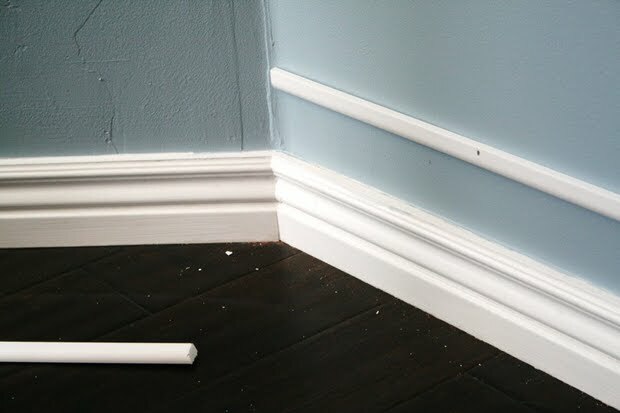 Consequently, if you have just a day and not much money, try one of these one day remodeling ideas, or all of them!We think you would also enjoy our post on DIY Baseboard, Molding and Trim. Thanks Lauren! Your trim really made that room, amazing job! You too!